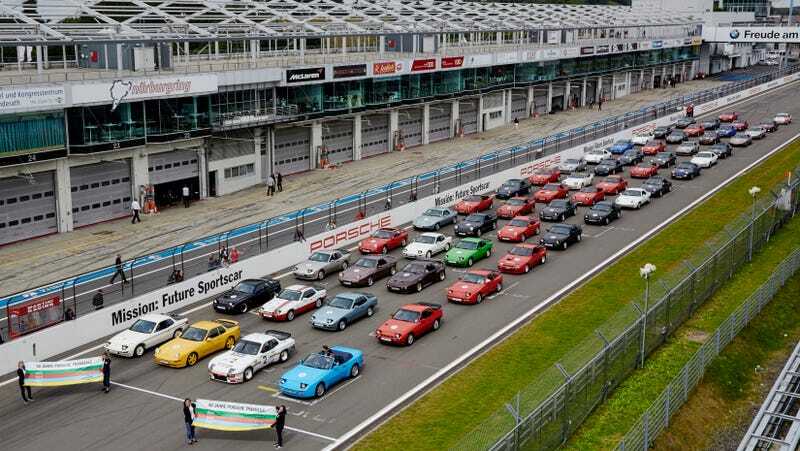 While we were away at Monterey Car Week, Porsche held the most glorious parade of my people on the Nürburgring during the AvD-Oldtimer-Grand-Prix. This massive herd of Porsche 944s, 924s, 968s and 928s was there to celebrate 40 years of the Porsche transaxle. Which one is your favorite?